It’s important to find materials that are inexpensive yet still meet your industry-specific needs or standards. For example, if you’re manufacturing a mouth swab or a single-use dental pick, the material will need to meet FDA standards while staying beneath a certain price point. Your injection molding partner should be able to offer suggestions on types of material that fit the bill. The quicker a machine goes through a cycle, the more parts you can create, which drives part cost down. If you’re evaluating partners to help create your single-use plastic product, be sure to find out the average length of their cycle times. The more automated elements the injection molding process has—for example, robots that remove parts from the mold or put them into boxes for shipping—the more you can drive part costs down. The only exception to this is if you go overseas, where human handling of parts is significantly less expensive than it is in the U.S. This article will walk through the benefits and considerations of injection molding in China vs. the U.S. If a problem in the production cycle goes unchecked, you may be recalling millions of parts—so you need a very robust quality assurance system around your manufacturing. For instance, Micron uses robots in approximately 70% of our machines and camera-based vision systems that check the quality of every single part. This helps ensure that only good parts go through the molding process. A common problem for many companies that manufacture single-use applications is the high cost of packaging—it could be more expensive than the product itself! 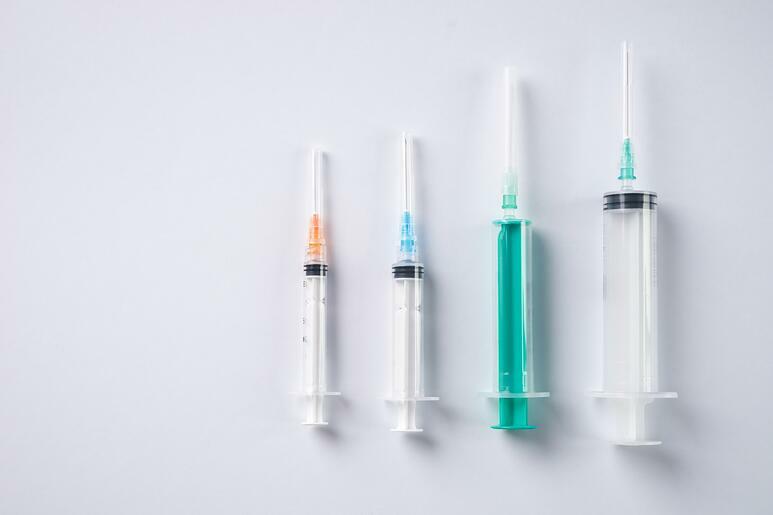 This may be unavoidable for extremely inexpensive single-use products that require specific packaging (like a syringe), but you’ll want to explore your packaging options to keep costs as low as possible. If you’re able to run your parts using a 96-cavity tool, you’ll see more cost savings than if you run your part on a 16-cavity tool. This is primarily because a high-cavity tool allows you to get more pieces molded per hour, which means you’ll see lower charges passed along from the molder for things like electricity use, machine depreciation, maintenance, and overhead. To avoid slowing down cycle time, you’ll want to have an effective process design for gating and part ejection. Additionally, it’s important to ensure the hot manifold that delivers the plastic material to the mold cavity does so without any waste. These processes will help accommodate inexpensive single-use pricing. We specialize in high-volume plastic injection molding, and have years of experience manufacturing single-use plastic applications. We’d love to answer any questions you have! Simply fill out the form at the bottom of this page. Or, if you’re ready to take the next step, click the button below and request your free, no strings-attached quote. We look forward to speaking with you.